Limited to 400 participants, early bird registration CASH prizes, be inspired, lead the change! Leading International Speakers and Australian Educators come to speak to you in a personalised setting. Be inspired by no less than 4 Classroom ICT Teacher of the Year recipients from around Australia. Hear from international leaders in education who understand that change is required. Also be inspired by Cosentino's educational journey leading him to being awarded the Merlin Award as The Best Magician in the World! Internationally recognised as a leading thinker and writer about the intersection of social online learning networks and education. Will comes from the USA to be with us. For the last four years he has been working with schools on helping them integrate technology into their teaching and learning practice. One year with Beyond Chalk, two years with New Era (previously Editure) and for the last two years has been running his own company, Gabriel Course Design. Has worked with LEGO Education since 1998. She actively travels the country teaching LEGO. 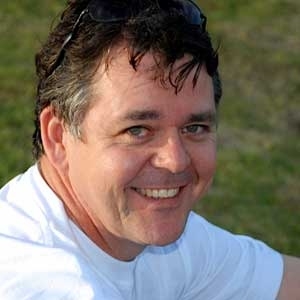 Trent Ray is a Junior Secondary and Curriculum Innovation Leading Teacher at St Helena Secondary College and an award winning Microsoft Innovative Educator. As an ICT Coach Trent has worked with teachers all over Australia to support them with building their capacity in integrating technology into their curriculum with a focus on 21st Century Skill development for students. For more information about Trent and his work visit www.itforthekids.com. Is a primary school teacher, computer coordinator and Adobe Education Leader from NSW. He has worked over that past three years as a technology mentor within his school. Celia is an experienced educator and Coach with the Catholic Education Office's (CEOM) ICON program, supporting staff and students to incorporate the use of ICT tools and eLearning opportunities to enhance learning and teaching. In 2015 Celia was awarded the 2015 DTLV Educator of the Year Award. Mathieu Marunczyn is a Primary School and specialist ICT Teacher and Leader who has worked across private and public schools in Australia, teaching both mainstream and special education. His work on the use of ICT in education has been featured in interviews across numerous technology and education websites and on national TV, and he has collaborated with several app/software developers and technology companies throughout the world. Most notably, Mathieu was the first person internationally to integrate modern Virtual Reality (VR) technology like the Oculus Rift into an educational setting. His expertise on emerging technologies like VR is highly sought after, and he is a keen advocate for VR’s significance in the future of education and in the delivery of lesson content. Sally Walsh is a Music/ ICT teacher at Boneo PS and a Virtual Conference Coach for DET. Sally won the Microsoft Teacher Of the Year in 2011 for her work in sharing music lessons globally and was a finalist in the Education Excellence Awards in 2012 and 2013. Judi Fallon is The Alannah and Madeline Foundation’s eSmart Schools’ Program Manager. She is part of the team responsible for the development and implementation of eSmart Schools in all schools across Australia. Judi is passionate about the role schools play in the wellbeing of young people and the importance of ensuring young people are safe and responsible in both the online and offline worlds in which they so actively participate in. Welcome to our 3rd Annual Ignite, Innovate, Integrate ICT Conference 2015 proudly hosted by Kingswood Primary School and supported by DLTV. After the hugely successful second conference held last year, we welcome international speakers Will Richardson and Lee Watanabe and classroom practitioners who are recognised by their peers as ICT Teachers of the Year award winners. Our conference focuses on supporting classroom teachers. We look forward to seeing you at our conference. ALL EARLY BIRD DELEGATES GO INTO A DRAW FOR A $250 CASH PRIZE!!!! The conference will be held throughout the school with Keynote presentations in our multi-purpose hall. Taking onboard feedback from last year, we have significantly reduced the number of exhibitors so that we can provide a larger networking space, a higher calibre of Keynote Speakers, a hands on area with devices including the Oculus Rift, unrestricted internet on the day and a new audio/visual system for the school. Attending external professional development sessions outside of schools are generally prohibitive due to costs. This conference is aimed at classroom teachers, coordinators and school leaders who would like to be inspired about how to use ICT effectively and efficiently as a teaching and learning tool in schools. The only truth we know is that ALL jobs in the future will require the use of technology. Are you prepared as an educator to do what is required to prepare your students for THEIR future? The calibre of the Keynote presenters this year is extremely high with everyone recognised internationally or across Australia for their contributions to education or communication in a digital age. We are pleased to welcome 2 invited speakers from the USA and Canada and Australia's own Cosentino to come and speak about his powerful learning journey as a student who experienced learning difficulties and how he empowered himself to overcome all obstacles. "Was a really great conference. To be honest was really well organised with a range of different experiences." "It was a fantastic conference. I felt that I got more out of it than the ICTEV conference, so well done. The challenge for 2015 will be to offer new presentations so that 2014 attendees will want to return." "I thought the conference was fantastic and very well organised." "Longer! I wanted to go to more sessions and couldn't be in two places at once. I'd suggest more repeat presentation and a fifth or even sixth session." We will provide morning tea, lunch and an afternoon snack, with complementary water and an onsite barista! !